・During the period, the entrance path (staircase) of Miyajidake Shrine will be restricted from 3 pm. Visitors please line up at the temporary entrance for general viewing. ・Monzenmachi Torii entrance will be restricted. Vehicles please used the 1st and 2nd parking lot. ・The staircase of the entrance path will become general viewing seats. Visitors please use the special entrance. From 2 pm, we will distribute numbered tickets to the first 400 people, first come first served basis. ・Use of stepladder, tripod, etc. is prohibited for taking pictures. However, you can ask for special permission. ・Use of drone is also prohibited. 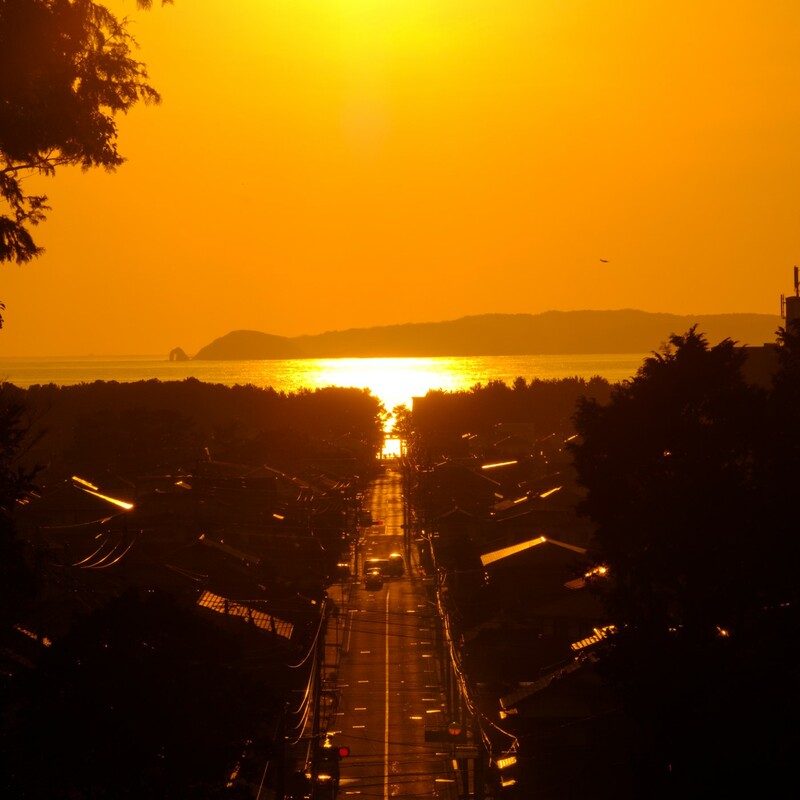 ・The Special Prayer Festival will be held along with the sunset (with sunset viewing seats). Please contact the shrine if you are interested. Accepting reservations now.